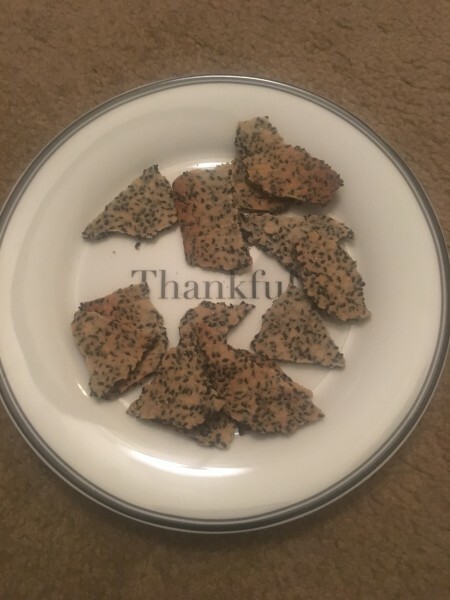 Today I made gluten free crackers with almond flour and black sesame seeds. Super easy! We like that. Receipe from Bruce Lipton's wife. Got my crunch on baby!